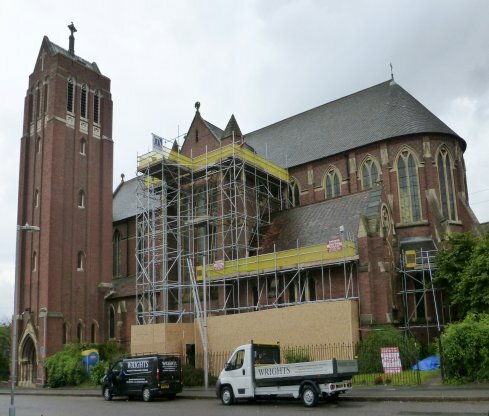 Carried out in 2016 the first phase of the complete renewal of the roof of St Alban's Church was funded by a grant of £85k from the Heritage Lottery Fund Listed Places of Worship: Roof Repair Fund to the PCC, with VAT offset from the Listed Places of Worship Grant Scheme and a contribution of about £20k from our existing Restoration Fund. 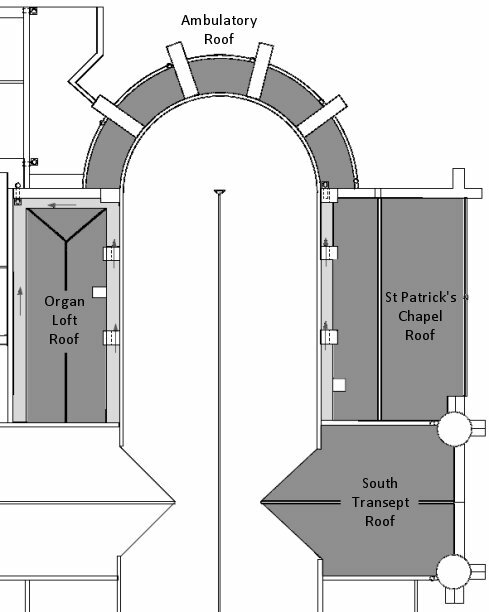 This first phase included replacement of the low-level roofs at the East end of the church – St Patrick's Chapel, the Ambulatory and the Organ Loft with their associated gulleys– together with the high-level roof of the South Transept. 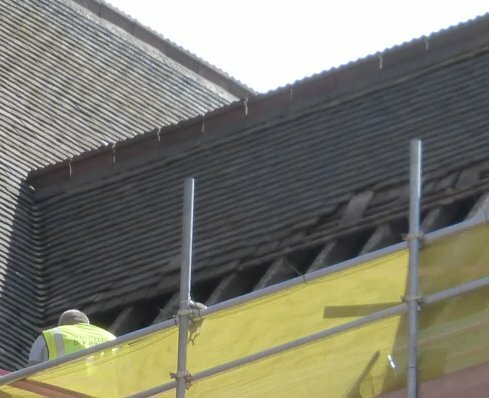 ... the roofers fixed the new "Brown Brindle" Dreadnought tiles — which are an excellent colour match for the weathered appearance of the original Victorian tiles. 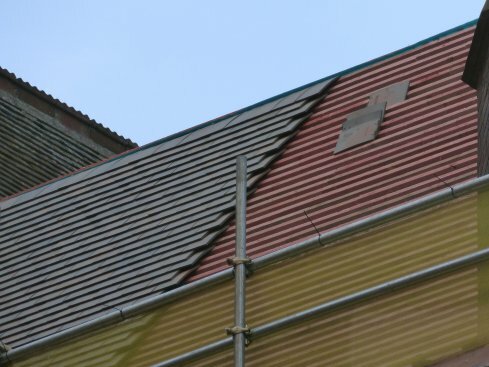 Unlike the Victorian tiles, which hung by nibs from the battens and were orginally "torched" (plastered on the underside), the new tiles are all securely nailed to the new battens ensuring that these roofs are waterproof and secure against wind damage for many years to come. 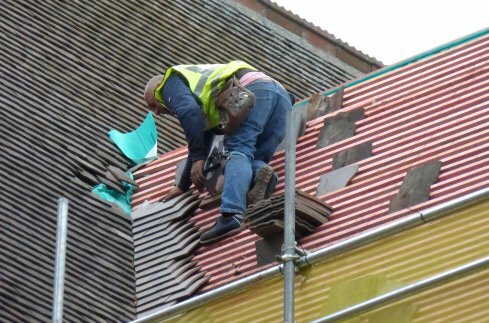 Unfortunately, before the start of this roof work in July, exceptionally intense rain on June 16 th 2016 washed debris from the high-level roof of the chancel and north transept into the gully around the organ loft roof ), where it blocked the drain. 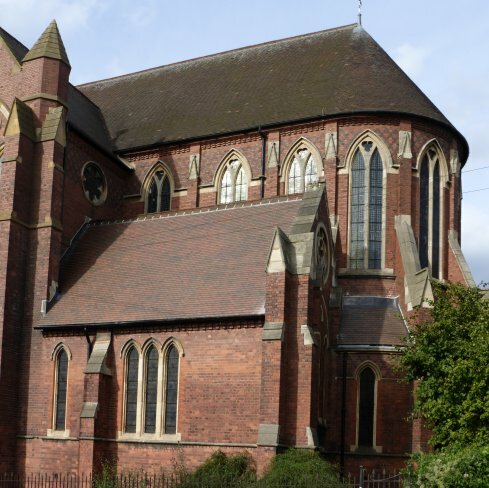 The gully then flooded until it overflowed into the organ-loft roof and dripped through the back of the organ, damaging the choir soundboard and pipes, into the pit beneath, where it damaged the 16-foot pedal trombone and bourdon chests and pipes. 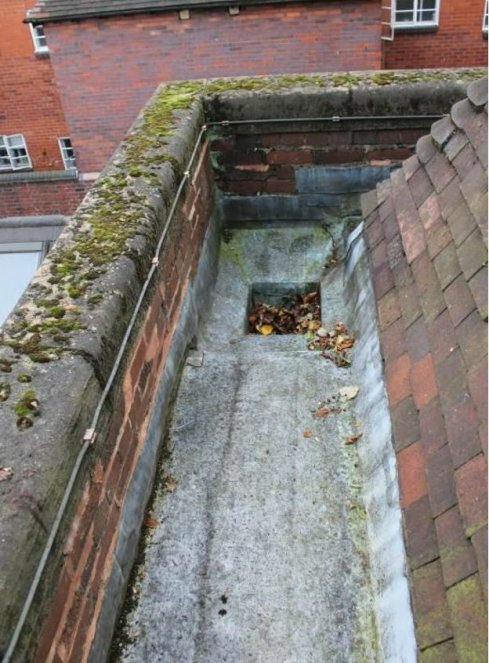 Because of previous flooding of this inaccesible gully, the specifications for the roof work already included replacing this drain with a spillway chute through the parapet wall around the gully. Because of previous pooling of water, this was the only area in which rotten roof timbers had to be replaced. Invisible form the public areas around the church, this modification corrects a weakness in the design of the drainage. 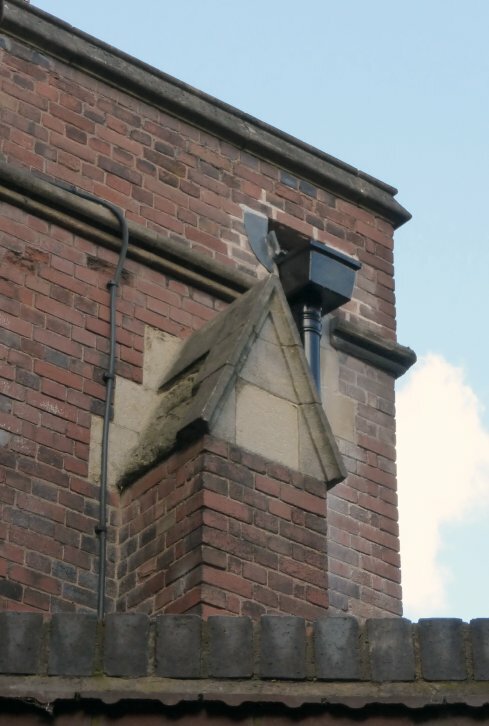 If in the future the hopper or drainpipe should block, the water would now spill safely onto a lower roof instead of flooding the gully.